The Google did a great favour for all business people to find the folder or file in the Google Drive as easily. The Google Drive allows the people to search their documents via natural language processing. Also, it corrects the spelling with the feature of the auto-correct update. The Company has also made some changes with the help of users feedback. This latest update will allow the users to use the common fancy words as speaking in normal life. 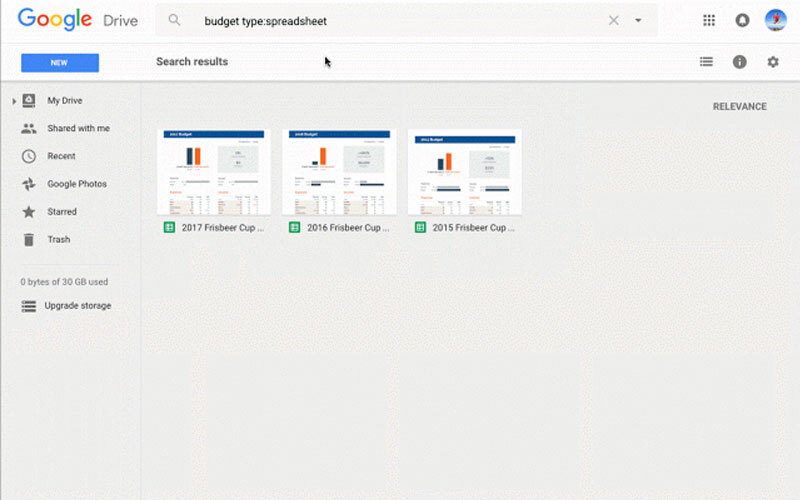 Such as the user can search with the phrase like “check my last month presentation with Stephan” or “Get my Yesterday spreadsheet work.” Now, the Google driver will help by showing relevant files by using the phrase. The drive NLP will show the most accurate result. This latest update is also correct the spellings as automatically, and it saves the users time from recorrect. As per the Google, it will not provide the most accurate file, instead of that, it will provide the results by using the words that the users mentioning in the search phrase. Along with this update, the drive will recommend the file or folder name as a google search. It shows as “Did you mean…” line after the user starts typing their needs. The Frequent Google Drive users know about the option that it allows using the Non-google documents. Now, it is upgraded with small change. The users can access the original non-google document after so many edits. Just visit the Revision history and download (or) re-use that original document as again. Also, the Google Drive now allows the users to split the docs into the column from the ‘Format’ menu. All the users can get this update from today itself. If you can’t be able to feel that mean, stay tuned with that for the upgrade.